When my children were small we carried on a family tradition where we gathered together to read books before bedtime. With four children it was easier to read the stories before tucking them into their bedrooms for the night. The children would sit around my chair and have a snack of milk and cookies. This was the highlight of my day. I feel its important to develop a love of reading early on in our children. Finding engaging, entertaining and educational books that children will want to be read to them, is an important part of encouraging young children to read. When I cam across the book, "Maestro Stu Saves The Zoo" I asked for a copy to review! First, I want to give you a few of my thoughts about this book. The illustrations are absolutely gorgeous! That is one of the reasons I wanted to review this book. The story is not only engaging it is educational with out being boring. Denise Brennan-Nelson's writing style is ingenious. The story is written using idioms on each page. In the back of the book you will find a list of idioms and their meaning. 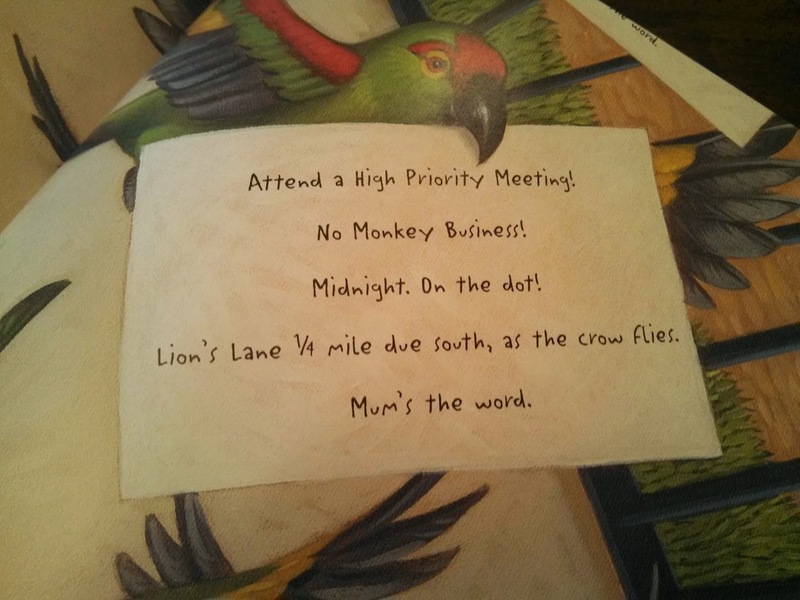 An example is the invitation Lion sent announcing an emergency meeting. So, I set out to read this book to my grandson Little Bug then later I read the book to my other grandchildren via Skype. First questions my grandson had when he saw the book were: "What is a Maestro?" "Are the giraffes in this story?" 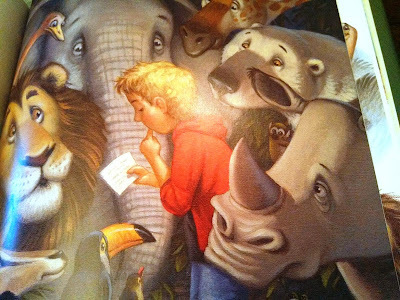 My grandsons had to look over the cover and ask all about each animal in the story. Once settled in to read we really enjoyed the story. The story starts out telling how Stu had been visiting the zoo since he was knee-high to a grasshopper. It goes on telling how Stu and his mama could hear the animals at night because they lived a block away from the zoo. Mama called the zoo animal sounds a symphony. Stu played maestro while mama swayed to the symphony. 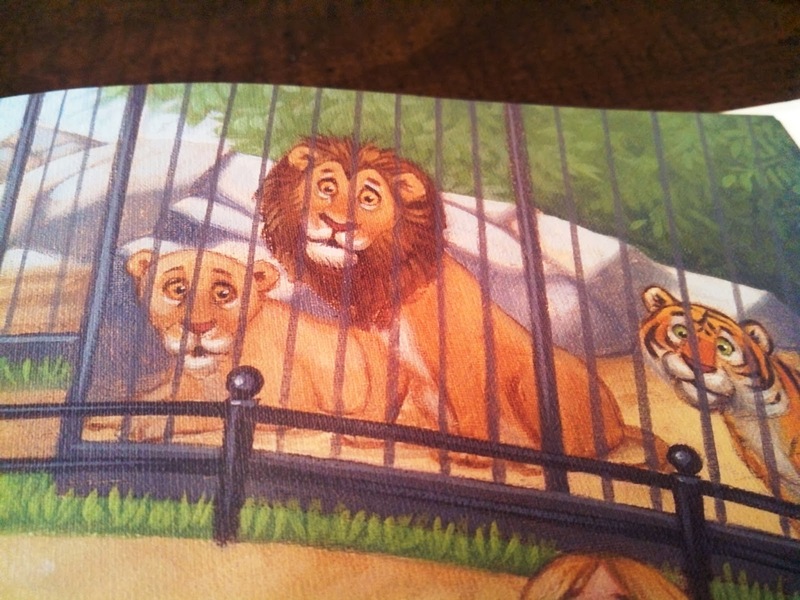 The story goes on telling how the zoo is in danger of being sold and the animals sent away. "Doom and gloom settled over the zoo like a thick blanket of fog as the animals realized they were going to lose their home." Do you think the lions have a look of doom and gloom? All the animals and Stu have a late night meeting to save the zoo. You will have to read the rest of the story your self if you would like to hear the ending. 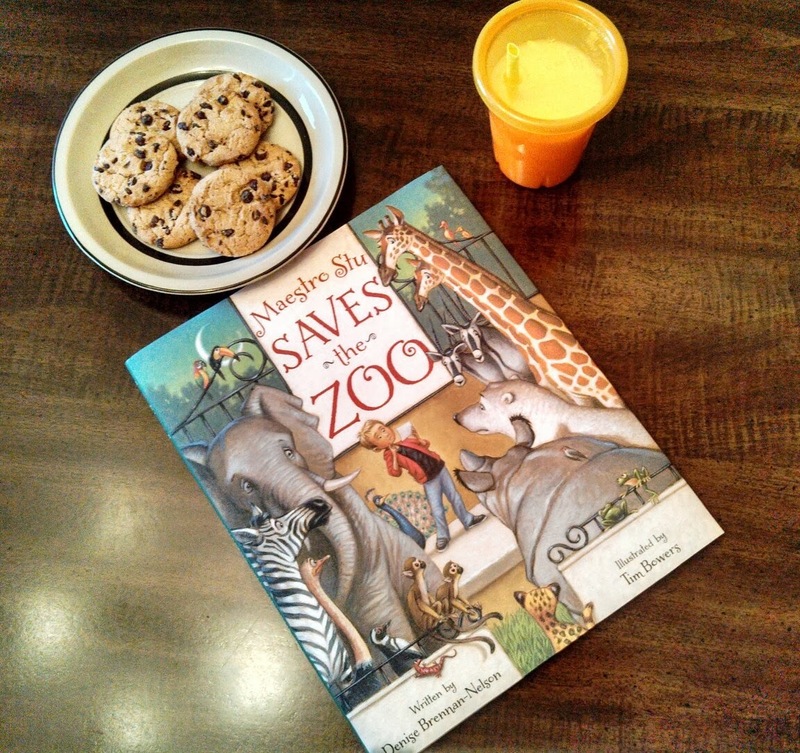 Maestro Stu Saves The Zoo would make a great holiday gift for any young child. What do you think of this book? How important is reading to young children? I love that you read it to her that way. My oldest loves all things animals. I am one to feel like you can never have too many books for your children. So i'm sure he would LOVE this book. I will have to check it out. This sounds like a book that my six year old would like. He loves animals and this would be a good bedtime story. You had me at the name of the book Maestro Stu Saves The Zoo. Our grandson loves going to the zoo and all the animals there. I am not sure he would know what a Maestro is either... but they learn fast. I love story time too, my youngest and I cuddle up every night, my oldest is 16 and no longer wants stories read to him! I bet my youngest would love this book, he loves zoo animals. I feel like I have seen this book somewhere before. I try to read to my daughter as often as I can. I need to get into a bedtime routine of reading to her again. This looks like a wonderful book and beautifully illustrated too. I use to read to my kids all the time. I can't wait until I can read to my grandchildren. My kids love the zoo and this looks like a book they would love! What a great idea to Skype while reading, that is a great way to connect. We are crazy about books in our house, and this book would totally fit right it! I love the page layout and the artwork too! What a cute little book! It would fit right in here! It is a very rare night if we don't read a story before bedtime. It's one of my fave things to do too. This book looks great. When my granddaughter stays over we always read ot her and she loves books about animals. We will be picking up a copy of this! Very cute! And the drawings are very high quality too! I love the cover and the phots/illustrations are done well. I am sure you have lots of fun reading to those grandbabies. I LOVE this! I am a sucker for animal books and love the title. Thank you for sharing. This sounds like a book my toddler would love; she's an animal lover. She gets read to by Daddy, mommy and her big brother so she thinks books are so special. I'll have to add this one to her Christmas list. I love love love traditions that center around reading and this story looks really cute. Fun for your family.